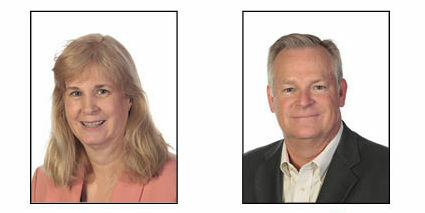 Nuventra is proud to announce that as of March 1, 2017, our Chief Scientific Officer (CSO), David Y. Mitchell, Ph.D. and our Vice President of Clinical Pharmacology and Pharmacometrics, Virginia (Ginny) Schmith, Ph.D., FCP will continue their 3-year terms as at-large directors for the American Society for Clinical Pharmacology and Therapeutics (ASCPT). Dr. Schmith will continue her active role in the scientific programming of the ASCPT meeting, moderating a session entitled “Communicating Complex Information to Influence Decisions: What Works and What Doesn’t” on Thursday, March 16 from 1:30 pm to 3 pm. “We are glad to see Dr. Mitchell and Dr. Schmith continue to be a part of a great organization, such as ASCPT,” said President and CEO of Nuventra, Geoffrey Banks, Ph.D.
Dr. Mitchell, Dr. Schmith, and other Nuventra team members will attend the ASCPT Annual Meeting on March 15-18 in Washington, DC. We look forward to sharing in-depth drug development and PK/PD knowledge with the attendees of this year’s conference. If you are attending, be sure to stop by Booth #25 to speak with our team and learn more about how Nuventra can serve your clinical pharmacology needs.